Shaping Our Future — How Can Higher Education Help Us Create the Society We Want? The first Morrill Act, signed by President Lincoln in 1862 in the midst of the Civil War, began far ranging changes in the landscape of higher education, previously the province of the wealthy. It democratized higher education by opening access, expanding the curriculum, and institutionalizing an ethos of public engagement. Today, in a time of breathtaking changes the American Commonwealth Partnership (ACP) believes that we need equally fundamental change. ACP is a coalition of colleges, universities and others launched at the White House on January 10, the beginning of the 150th anniversary of the Morrill Act which established land grant colleges. ACP is dedicated to the practical work of building democracy’s colleges for the 21st century throughout all of higher education. The first large-scale ACP campaign is a national conversation using materials developed by National Issues Forums Institute, “Shaping Our Future.” Shaping Our Future will take place in communities and colleges, as citizens discuss the role of higher education in America’s future. Early forums have shown its timeliness. New York State Assemblywoman Donna Lupardo, Chair of the Legislative Commission on Science and Technology, says that the State Legislature rarely discusses the purpose of higher education. These conversations hold promise to help develop a narrative of higher education’s purpose, which Larry Pogemiller, Director of the Minnesota Office of Higher Education, says is urgently needed to break the partisan gridlock. The following is excerpted from the issue guide titled Shaping Our Future: How Should Higher Education Help Us Create the Society We Want? The diverse system of US higher education–including public and private universities, smaller four-year independent colleges, two-year community colleges, for-profit schools, and others–already serves a number of important social purposes. But this guide focuses on the future. It takes up this fundamental question: How should higher education help us create the society we want? It offers three options to consider, each with benefits as well as drawbacks. While it’s certainly possible for higher education to pursue multiple goals, it’s also true that colleges and universities can’t do everything. To be effective, they need to focus their energies and set priorities. As we envision higher education in the future, there are options and trade-offs, and it’s important to think and talk about them with our fellow citizens. By doing so, we can begin to make tough choices about what higher education can and should be expected to do. This issue guide presents three options for deliberation. Higher education should help ensure that our economy remains competitive in a tough global marketplace–and that means recapturing our lead in science and technology. Countries like China are transforming their systems to educate more high-tech professionals, and we should too. It’s our best chance to keep our economy growing. Many of the problems we face as a nation reflect an underlying crisis of division and mistrust. Higher education shapes students’ views about the larger society, and it can do more to strengthen values like responsibility, integrity, and respect for others. Students also need real-life experience in collaboration and problem solving. We call this the land of opportunity, but it isn’t that way for many Americans. Because graduating from college unlocks the door to advancement, higher education and government should do much more to ensure that all Americans have an equal shot at getting a degree–without accumulating huge debts. For the full list of Shaping Our Future materials, visit the National Issues Forums site. Northern Arizona University has been a highly active participant in restoring the democratic mission of higher education. Currently, there are eight Action Research Teams (ARTs) made up of undergraduate and graduate students as well as professors and community facilitators that have formed around specific issues in the community (such as weatherization, immigration, water conservation, education reform, local food systems, etc.). As we continue to evaluate our work, we often identify the need for expansion and recruitment. Although the groups are large and successful to begin with, our vision is much broader. Each student is increasingly passionate about the public work they are involved in and the immense transformations they have undergone, so we have decided to generate undergraduate house meetings to brainstorm how we can allow others to become engaged. We have created weekly meetings that take place on Mondays under the American Commonwealth Partnership (ACP) Student Organizing branch that consists of undergraduate students who are interested in sharing their democratic vision with other individuals, schools and institutions. Our overall goal is to deeply embed community organizing and public work in all school settings with students of all ages. We plan to reach this goal by first broadening our support structure through recruiting more students. Three of us are giving presentations to all incoming freshman students during their orientation to NAU. We feel that moving forward the best way to establish this democratic university is to make our work more visible and encourage other students to join our leadership teams. I was not raised being told to recycle. I grew up in a conservative town where my actions and values did not seem to coincide and so it’s no surprise that I came to college a confused individual. I did not know who I was, what I believed, or what I should major in. Like most freshman, I knew I was meant to do something I just had no idea what that really meant. A few days before classes started, I joined a freshman seminar called “Democracy Social Justice and The Environment” taught by Rom Coles because the title sounded interesting. I never knew this class and the team I was part of would shape my entire experience at NAU and completely transform my life. This same year, I also became involved with the Weatherization and Community Building Action Team (WACBAT), a student-led group that focuses on community engagement to bring about culture change, policy change, and community building around saving energy, money, and jump-starting a greener economy based on local renewable energy. My mind raced as people talked and my mouth wouldn’t stop moving as we had discussions. Topics about people, the earth and political action became so real to me. The class and group were helping me make the connection between ethics, culture, community, the earth, politics and action. I was finally able to put my passion for people, equality and justice into words. And I began to understand things I never had before. Looking back I am at a loss for words at how truly wonderful, overwhelmingly, inconceivably, phenomenal being involved with WACABT has been for me. Being able to go from feeling powerless and uninspired, to being a leader with a voice and the ability to make change has transformed my character. WACBAT has improved my confidence to speak publicly and to meet with powerful individuals. It has also shown me what works and what does not work when trying to engage and motivate others. WACBAT is not only a support system that pushes me to strive forward it allows me to have hands on experience organizing, motivating, planning and problem solving. More importantly, WACBAT has helped me discover my passions allowing me to pursue what I loved. Click here for more stories about the work of the Student Organizing Group. Polarization is rampant in America. The news anchors and political pundits demonstrate this state of affairs every day, bringing us stories of elected leaders refusing to budge on ideas, and demonizing the other side’s solutions. Bill Bishop’s The Big Sort even looks at how Americans are self-segregating themselves into neighborhoods where many people think and act alike. It is easy to ignore other perspectives in these black and white homogenous bubbles. Have we forgotten the gray area? Does the other side have to be wrong? In a time of late capitalism, Americans understand most things as zero-sum games and find it difficult to see anything else. But if we continue relating to each other in black and white terms, we will push each other farther away. Western Kentucky University is a relatively typical state school. However, WKU features a small gem among orthodox academia: the Institute for Citizenship & Social Responsibility (ICSR). The ICSR is a free space for civic engagement that promotes democracy and social change for the common good. It is also where I have shaped my worldview and have learned how to be a problem solver. One morning I arrived at the ICSR to see sullen student faces. “We have to leave. They’re kicking us out,” my friend said. Moments before, the ICSR was informed that it would be displaced so that another department could take over its space. This department’s home was being renovated, so it wanted the ICSR’s space as its temporary home. However, the ICSR was not included in the decision-making process. I was devastated. This place inspired my entire academic career and, as a senior, was preparing me for my future. I felt like the university was about to take everything I worked for away from me. It was clear that the leaders of the university could not solve this problem, so we students decided to solve it ourselves by organizing to salvage ICSR’s space and legacy. While we were concerned about the prospect of losing our space, we were excited for the opportunity to put to practice the very organizing skills we had learned in the ICSR. After conducting many one-on-ones with students on both sides who would be affected by the move, the group concluded that it was definitely possible for both departments to share the ICSR space. We could share broaden our outreach, and collaborate on initiatives that no one had considered before. It would be innovative and unprecedented. We decided to ask the administration to create a student task force to determine how both departments could co-exist in the space. In the end, we did “win.” The ICSR was allowed to retain its home. But this conflict was not about winning or losing. We were handed a crisis, but there was an opportunity to create something innovative from that situation. The ICSR shows us how to develop creative and sustainable solutions for the common good. This was a very formative experience for me. It was my first real opportunity to sincerely practice the organizing skills I had been refining for years. Ah, graduation season. This is supposed to be a time of great promise and hope in the lives of the 1,781,000 students graduating with bachelor’s degrees this year. Yet with the nation’s sluggish return to economic health and the high unemployment rates of young people (50% of people under 30 are unemployed! ), many graduates are facing tough realities as they cross the stage and claim their diplomas. Subsequently, as Anya Kamentz found in her book Strapped: Why America’s 20 and 30 Somethings Can’t Get Ahead, many Millennials are delaying important milestones including marriage, children, and home ownership because they are not able to shoulder these costs in addition to the weight of student loan repayment. This troubling economic and social picture may lead some to declare that undergraduate experiences should be focused on helping students develop job skills that will help them find employment after graduation. But this represents a false choice between providing students with professional or civic experiences. The civic skills developed through community engagement experiences are also important professional skills. These attributes include critical thinking, problem solving, communication, working with people from different backgrounds and ethnicities. So what does this mean for us? For students, it means that your civic experiences are also important professional experiences. The trick is learning how to translate them into resume bullet points. Below are a few ideas of how you can do just that. Be concrete when describing your experiences. Include hours worked, students served, dollars raised, projects overseen, etc. This is a good way to show future employers that you are goal-oriented and get results. Think about how your experiences draw on marketable skills. Did you organize a political campaign to ban the use of plastic bags in your town? This required project management, political knowhow, negotiation and communication skills. Did you plan and run a day of service for your university? This demonstrates logistical and event planning skills. Did you tutor elementary school children? This shows leadership and teaching skills. 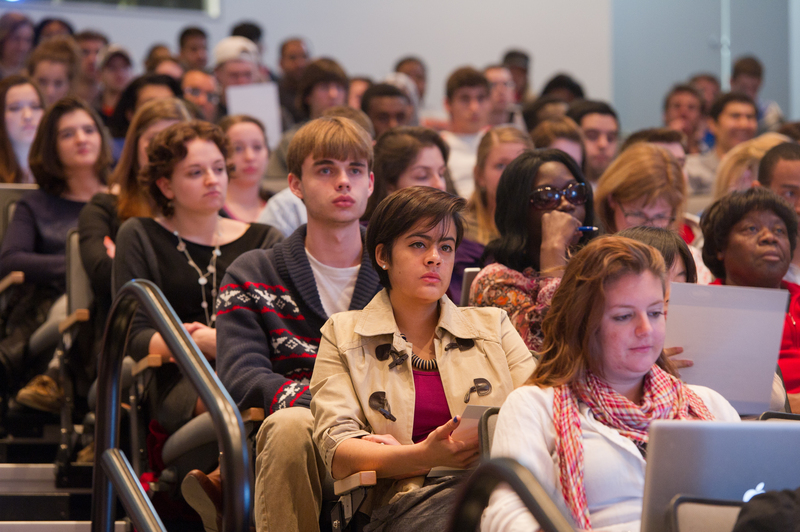 Did you help your university incorporate social media tools into it civic engagement? This shows that you have Web 2.0 savvy that many organizations are looking for. Think strategically about how your experiences have prepared you for the professional world and find ways to tell this part of your story. While it’s nice to show that you have heart by listing your service experiences on your resume, it’s also important to demonstrate your ability to make commitments, follow through on deadlines, and work well with others. Many civic experiences require all of these abilities. Find ways to demonstrate these skills in your resume and during your job interview. For faculty and administrators, the harsh demands being placed on graduating students also requires something of you. First and foremost, don’t fall for the false dichotomy between civic v. professional experiences. Students need opportunities to develop themselves for their future both as citizens and employees. Civic engagement experiences provide an avenue for both goals to be achieved. 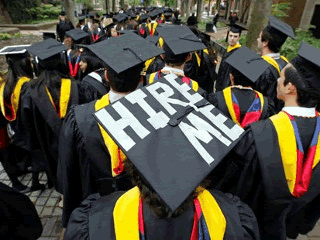 Many students are unemployed or underemployed. Work in the community and political realms are often students’ only opportunities to develop important professional and civic skills. These experiences are proven to develop student efficacy and agency that will in turn help them promote themselves when it comes to looking and interviewing for jobs. When you work to engage students, help them locate their own self-interest in the engagement. Yes, it’s a nice thing to do. Yes, it’s even the right thing to do. But it also might help them get a job. Cheer them as they face a daunting job market and enormous loads of student debt. Finally, and most importantly, these civic experiences will stick with them and improve our democracy and economy. This view of the student experience is somewhat less daunting and more hopeful than the one painted by abysmal employment rates. We must protect and increase civic experiences of students to strengthen our economic and democratic futures. I salute the faculty and teachers who have helped get students to graduation day. Without your mentorship, guidance and encouragement, many would not be walking across that stage. And I wholeheartedly tip my hat to this year’s graduating class. I know how hard you’ve worked and how hard you will continue to work to secure happiness and financial stability. Be strategic about telling your story. Celebrate your success and make big plans for your professional and civic life. The future of our economy and democracy rests in your hands. 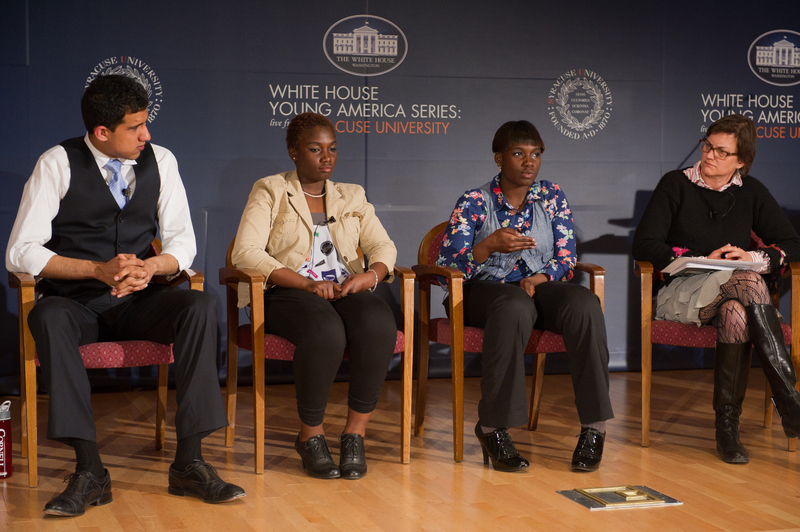 A panel about solutions to societal issues with (from left to right) Ankur Bajaj, undergraduate student, Cornell University; Symone Campbell, student, Nottingham High School; Semaj Campbell, student, Nottingham High School; and Marion Wilson, faculty member, Syracuse University. Photo by Stephen Sartori. At the January 10 White House launch of the American Commonwealth Partnership, Syracuse University was invited to be one of 17 campuses across the country to host a youth summit as part of the “White House Young America Series.” We seized the opportunity to rally high school and college students in Central New York. The event’s framework was Syracuse University’s call for Scholarship in Action, and the national coalition Imagining America: Artists and Scholars in Public Life’s vision to realize the democratic purposes of American higher education. The program planning committee included representatives from the Central New York Chapter of Publicly Active Graduate Education, Imagining America Engagement Fellows, and the student government associations of Syracuse and Cornell University. The April 18, three-hour event provided a platform for 150 students in the region to share their experiences partnering with communities to address local problems, and for students to engage two young White House representatives: Victoria McCullough, Office of Public Engagement, and Samuel Ryan, Department of Education. 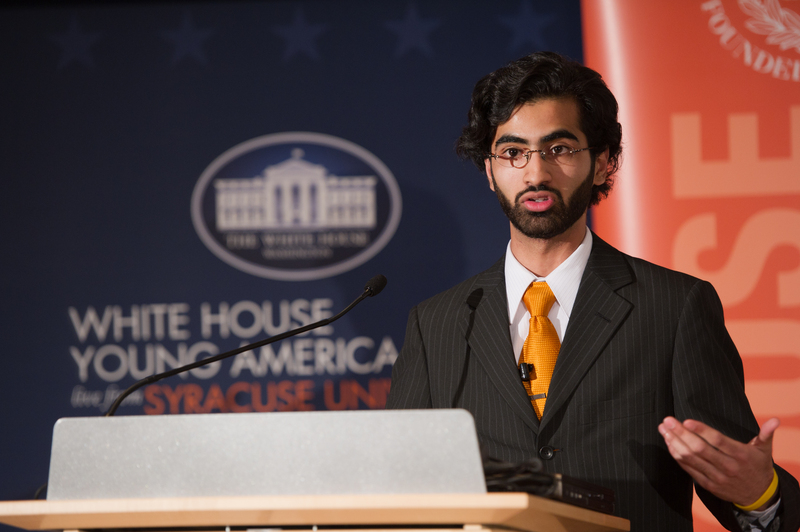 Azhar Ali, undergraduate student, Syracuse University, speaking on what “inclusive urban education” means to him. Photo by Stephen Sartori. Participants discussed race, class, and disability issues in the education system; environmental sustainability; and how the humanities, arts, and design can be used to positively affect these issues. To probe the issues’ complexity, a mix of formats was employed: panel discussion, personal testimony, presentation, spoken word performance, and dialogue with the audience. Using a Twitter hashtag, there was virtual exchange during the event among attendees and those watching via live web stream. To view the event video, go to http://syr.edu/whitehouse/. Recognizing that all organizing is reorganizing, Imagining America and Syracuse University are using the event’s energy to launch the contest, “From Story to Screen,” in which students submit narratives about their civic engagement. The winners will have their stories professionally produced as a short video for national distribution. Attendees of the event, “White House Young America: Live from Syracuse University.” Photo by Stephen Sartori. Other participants, too, are using the momentum to act on change, and discussing how to connect their efforts to the movement building of the American Commonwealth Partnership. Timothy K. Eatman is research director for Imagining America and assistant professor of higher education at Syracuse University. Jamie Haft is communications manager for Imagining America and is completing her master’s degree at Syracuse’s S.I. Newhouse School of Public Communications. In September 2011, Auburn University students Marian Royston and Blake Evans traveled with Dr. Mark Wilson, College of Liberal Arts Director of Civic Learning Initiatives, to the Newnan Public Library in Georgia to interview Willie B. Wyatt regarding his role as one of thirteen students who filed the historic suit, Lee v. Macon County Board of Education, which desegregated Tuskegee High School in 1963. The oral history interview was one of several taken as part of the CLA Community and Civic Engagement Initiative’s participation in the Appalachian Teaching Project. The historic graduation event described below on May 23, 2012 is the result of this collaboration. The following story is from WSFA.com and the original story can be found here. MACON CO., AL (WSFA) – You can hear the drum line of Notasulga High school miles away as band members welcome the graduating class of 1964 back to Macon County for a ceremony that’s been long overdue. “I kind of thought I was a forgotten person from a graduation standpoint,” Willie Wyatt Jr. said. Wyatt and Anthony Lee along with 10 other students paved the way for integration in Macon County and the state when they integrated two schools in the county. “On the first day we were turned away by the state troopers. We just wanted to have the same opportunity as the other students did,” Wyatt said. Lee and Wyatt say they would have graduated on May 25th, 1964 from Notasulga High School, along with now deceased classmate Robert Judkins. But after resistance and violence, the school mysteriously burned. “[The principal was told] give them there diplomas, let that be there last day of school,” Wyatt said. He says they were also denied class rings. But with the help of Auburn University and the Macon County School Board and current students who are celebrating them, these men will finally be in their high school cap and gown. “We’re going to give them the full salutations that they deserve,” Macon County Superintendent Dr. Jacqueline Brooks said. They will walk with the graduating class of Notasulga high school Wednesday at 7p.m., something they say will be very emotional but will serve as closure. “To let them know how things were and how things are now and how they can with dreams and preparation and determination accomplish almost anything,” Lee said. Finally getting the recognition they should have gotten 48 years ago. 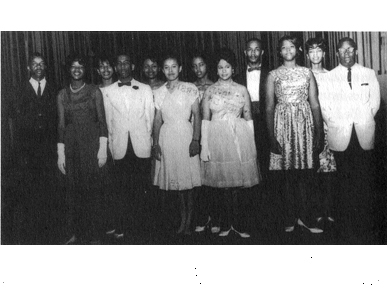 The 12 students who integrated Macon County schools are a part of an exhibit on display at the Tuskegee Human and Civil Rights Multicultural Center. Momentum is building in the American Commonwealth Partnership, and we have a unique opportunity to leverage support for our work. The Center for Democracy and Citizenship has a challenge grant that will match any new and increased gift made by May 31st! The ACP strives to democratize higher education by opening access, improving curricular and co-curricular teaching and learning, and creating an ethos of public engagement to make life better for all of us. So far, generous supporters like you have contributed $13,785 . Help us reach our goal of $20,000 by making a contribution today. Please click here to make a contribution of $50, $100, or $250 today. The skills needed in both the workplace and our society as a whole require cooperative and productive citizenship to build an equitable, sustainable democracy. To develop such capacities, higher education needs to tap the full participation of all, and integrate science with arts, humanities and design. This requires bold action. ACP develops strategies to help realize these goals. Higher education must rise to the occasion, and ACP aspires to be the resource and a meeting ground for this great work. Help us to build a better tomorrow for students and America as a whole. And please spread the word by sharing this link on Facebook,twitter and other social media.